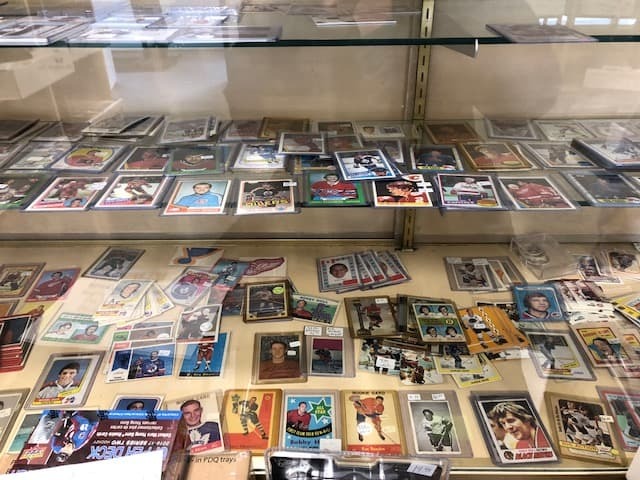 Have you been to Sports Card Connection? 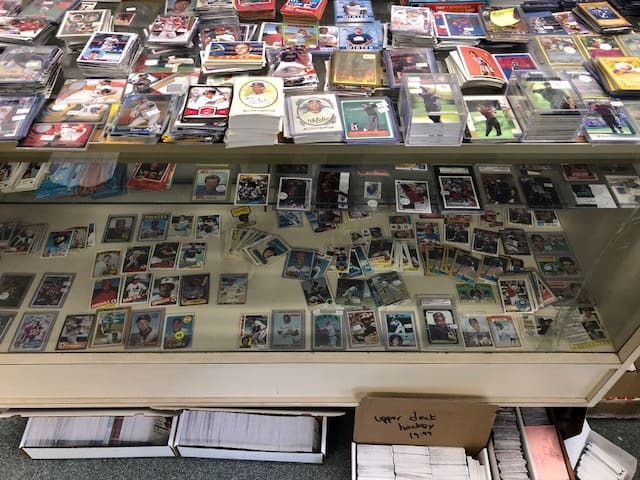 Mike opened his sports card shop in 1990. Somehow that doesn’t feel like 28 years ago but it is! 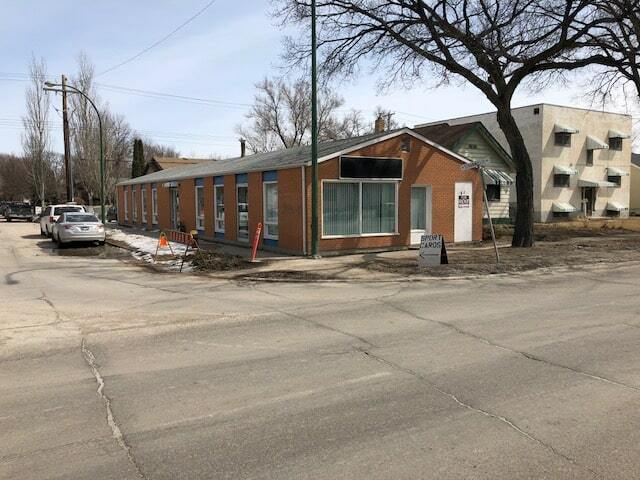 The store has moved locations several times and today you can find Mike hanging out in his cozy little shop at 51 St. Anne’s Road in Winnipeg. Ignore the “For Rent” sign. Mike’s not planning on moving any time soon. He’s been here two years and the cost of rent is nearly perfect for him. 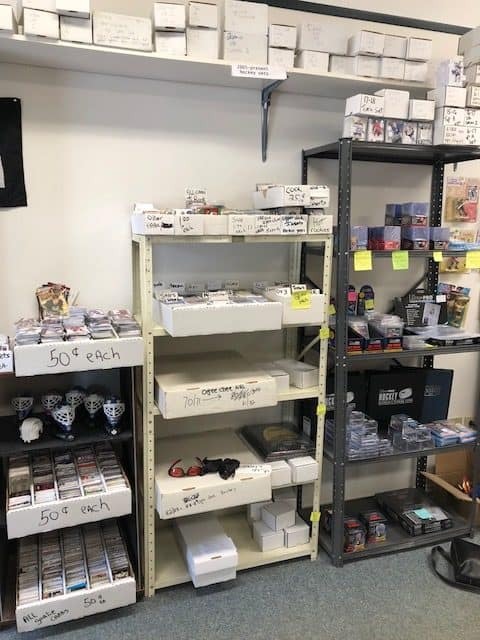 If you’ve never been to Sports Card Connection, just a tip. Park along Stranmillis Avenue. You’ll enter the building through the door on Stranmillis and turn right. 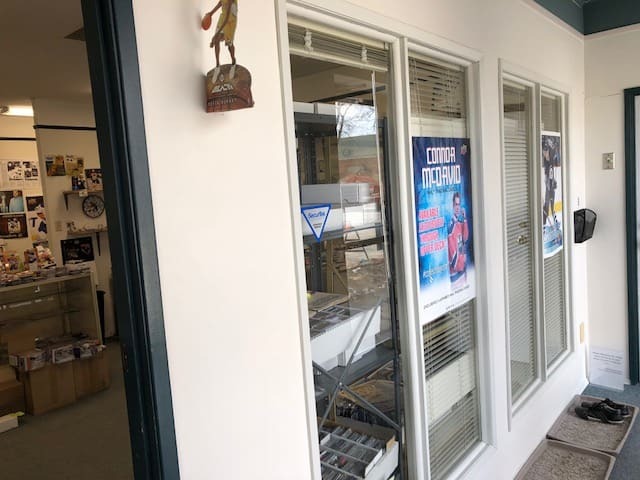 You’ll see the hockey and baseball posters on the store windows. 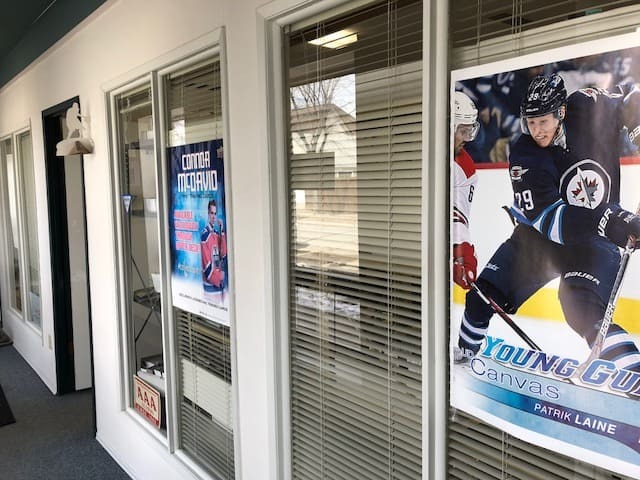 Yup, that’s Patrik Laine and Connor McDavid, welcoming you to Sports Card Connection! 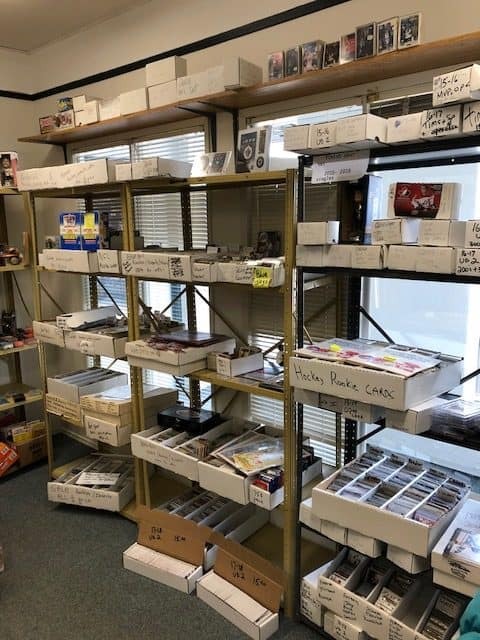 Inside the store, you’ll find shelves and boxes full of singles. That’s what Mike specializes in. 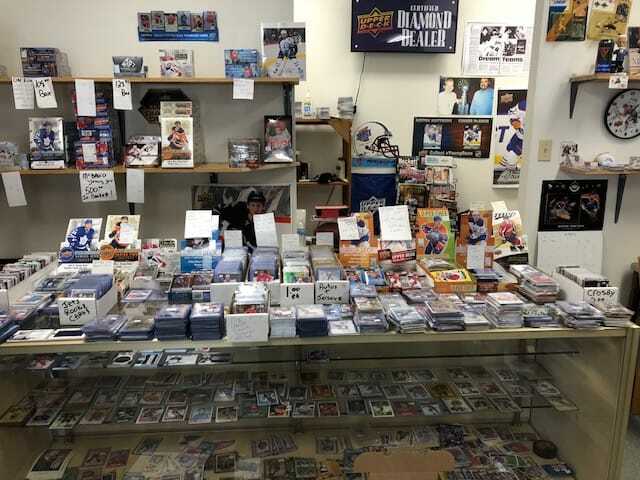 He’s got all of his cards – basketball, baseball, football, and hockey – organized by players and teams. All you have to do is tell him exactly what you’re looking for. 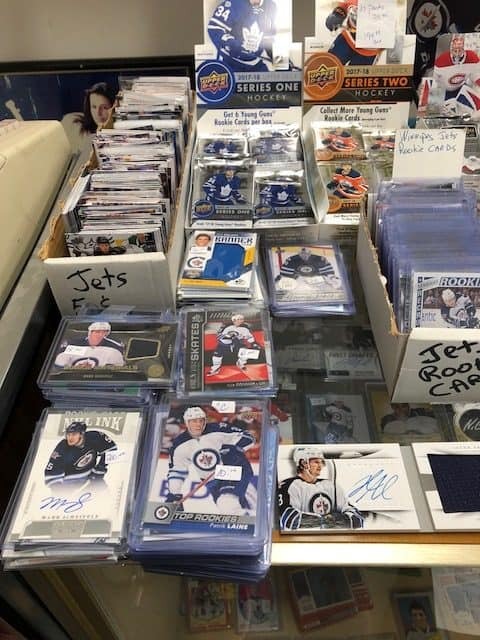 He also has a nice selection of affordable Winnipeg Jets cards along with some higher end Jets jersey and autograph cards. My son and I had fun going through the box and we each picked out several 50 cent cards for ourselves. Brand new packs and boxes available for you to open. 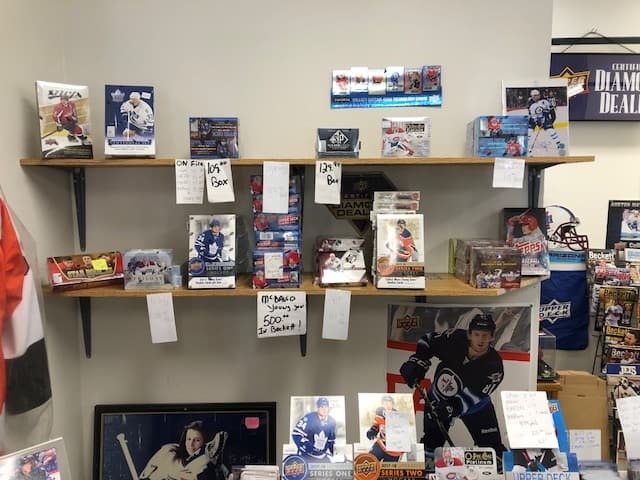 Vintage hockey and baseball cards. 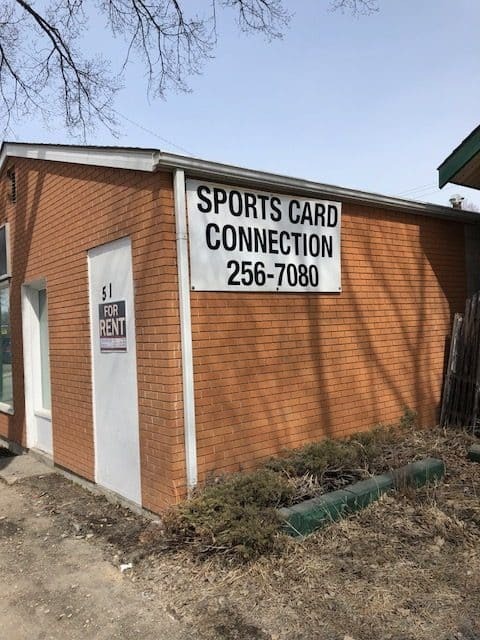 So if you’ve got one specific card in mind, give Mike from Sports Card Connection in the south-eastern corner of Winnipeg a call or a visit. He’s open Tuesday to Friday 10:30 am – 6 pm, Saturday 10 am – 5 pm, and Sunday 12 – 4 pm. Update May 3, 2018 – Closed Sundays for the golf season. 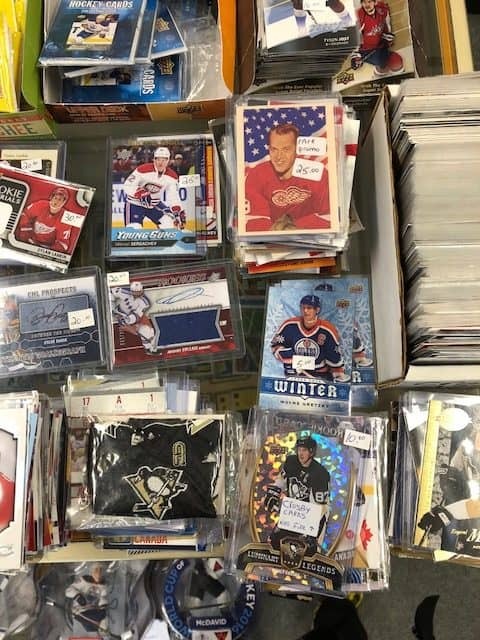 Like & follow Sports Card Connection on Facebook. hiya! thanks for the great blog!just onr thing..im not open sundays again till november!! golfing season is getting close!